Vertiginously exciting…vibrantly imagined….Krauss [is] a prodigious talent….Beyond the vigorous whiplash that keeps Ms. Krauss’s The History of Love moving (and keeps its reader off balance until a stunning finale), this novel is tightly packed with ingenious asides….Even at their most oddball, these flourishes reflect the deep, surprising wisdom that gives this novel its ultimate heft….Krauss’s work is illuminated by the warmth and delicacy of her prose. The novel’s achievement is precisely this: to have made a new fiction―alternately delightful and hilarious and deeply affecting. The History of Love is a significant novel, genuinely one of the year’s best….Emotionally wrenching yet intellectually rigorous, idea-driven but with indelible characters and true suspense. Confirms the depth and breadth of [Krauss’s] talent. Devastating….One of the most passionate vindications of the written word in recent fiction. It takes one’s breath away. Even in moments of startling peculiarity, [Krauss] touches the most common elements of the heart. In the final pages, the fractured stories of The History of Love fall together like a desperate embrace. A witty, emotional and ambitiously literary work…populated with sharp, deeply sympathetic characters. Wonderful and haunting…deftly layered…its mysteries are intricate and absorbing and its characters unforgettable….Not quite a thriller, not exactly a coming-of-age story, nor a Holocaust memoir, The History of Love manages to be all three and also something more: a breathtaking meditation on loss and love. It’s the sort of book that makes life bearable after all. The History of Love has perfect pitch and does its dance of time between contemporary New York and the wanderings of the Jews with unsentimental heart-breaking grace. [Krauss] also happens to write like an angel. Astounding, moving, very funny…a joy to read. Leo Gursky is brilliantly drawn. When Nicole Krauss published her first novel, Man Walks Into a Room, at age 27, reviewers described her as a young writer burning with promise. Three years later, she seems to have proved them right…one of the most highly anticipated literary novels of the spring. A beautifully constructed, frequently funny and ultimately moving tale…The History of Love unspools a number of disparate story lines―about a lonely Polish immigrant, a teenage girl, a grieving widow―and then delightfully pulls them together into a striking coherence. Extraordinary….The History of Love is a complex, funny, sad, elegantly constructed meditation on the power of love, language and imagination….Krauss’s beautifully imagined characters are funny, rueful, smart and sometimes almost unbearably poignant. [A] breathtaking sophomore novel….Luminous….Krauss is a masterful storyteller…of astonishing breadth….With luck, Krauss has many decades ahead of sculpting deliciously witty, complicated novels. Let’s hope she does. A tender tribute to human valiance. Who could be unmoved by a cast of characters whose daily battles are etched on our mind in such diamond-cut prose? 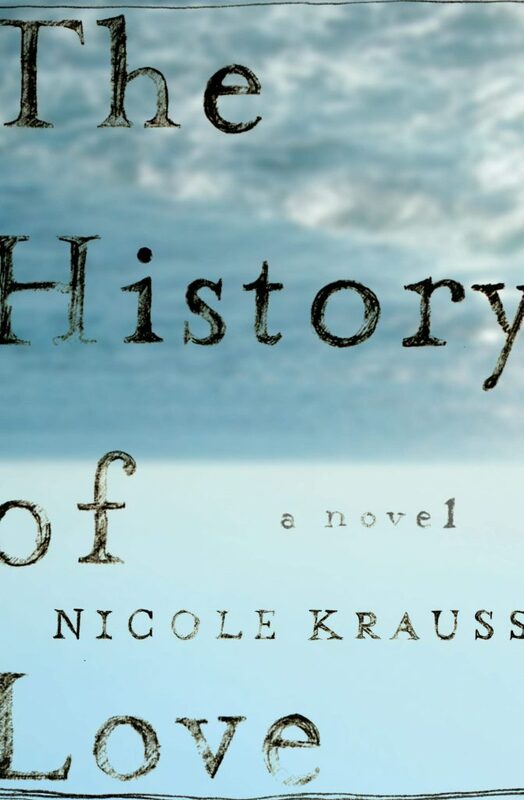 The History of Love by Nicole Krauss…is a novel to remind you of the power of fiction―funny and sad and devastating and hopeful often all at the same time. Brilliant….A most unusual and original piece of fiction―and not to be missed. A literary riddle by a deft and canny young novelist. Krauss has an impressive imagination and considerable talent…a memorable feat of storytelling, fine prose and heartbreakingly real characters. [The History of Love] has all the components of enduring fiction: an idiosyncratic structure, a wise and searching voice, a series of embedded incidents that read like mystery. Big, bold, twist-your-heart sad, kick-your-heels joyful―Nicole Krauss’s brilliant novel is as deep and multifaceted as love itself. Krauss’s writing is so engrossing, at once so fragile and brittle and sharp and pulsing with life, and the voices she creates are so real, that we are quickly absorbed into this mournful yet ultimately life-affirming novel….Krauss has created a satisfying, fascinating work of fiction that is at once funny, poetic and mysterious. And in Leo Gursky, she has created a character that hobbles off the page and sits on the park bench next to you. A bold, exquisite writer with amazing vision and depth. She is a risk-taker and a breathtaking prose stylist….The History of Love defies the facile. It is an experience. Krauss’s novel is bursting with colorful characters, suspense, true love, and tenderness. It’s hard not to care about these characters because they are painted with such tenderness and truth. Deeply moving…irresistible…. [Krauss] refuses to hold anything back. In her graceful inquiry into the interplay between life and literature, Krauss is winsome, funny, and affecting. Believe the hype. The History of Love is one of the most imaginative and engaging pieces of literary fiction of the past year (at least!). Poignant, imaginative, funny and even suspenseful….A book that will steal your heart. ‘Beautiful’ is not a word to be thrown around lightly, but it is the first one that comes to mind in relation to Nicole Krauss’s second novel…her writing is flawless. Leo’s poignant, often hilarious ruminations ring piercingly true, and they show beautifully showcase Krauss’s expanse imagination…. [It] is a whimsical, wistful epic that gradually unbraids several intertwined mysteries, and the climaxes of both texts come together with an effortless click and a sigh of wonder…this is complex, inventive storytelling at its best. The History of Love is one of those novels you want to reread the minute you finish. The authenticity of the humour contrasted with the sadness is extraordinarily moving. Krauss is the real thing; The History of Love is a novel to be read and reread. This wonderful novel is poignant, imaginative, funny, and even suspenseful….A book that will steal your heart. A wonderful novel erupting with life…building to a perfect, heartbreaking end. Undoubtedly the work of a formidably talented novelist. Its primary effect is to warm and sadden the cockles of the heart. For all the complexity of this book, it has the simplicity of pure emotion, and is a delight because of it. Endearing. Krauss is an entertaining, humane and intelligent writer. Captivating….Characters fly off the page and into your consciousness. Poignant and evocative…the writing is beautiful, and the twists and turns keep you riveted until the last page. Krauss’s complex Russian-doll structure demands―and repays―concentration. But the characters are so vivid and human that it never feels like hard work. A new star in the literary firmament…one of the most touching stories you are ever likely to read. Charming, tender, and wholly original. The interwoven threads of this marvelous tapestry offer delights at every turn. The writing is gorgeous, and Krauss’s questing characters follow surprising and touching paths. Nicole Krauss’s Leo Gursky is all voice―frisky, aching, jittery, stunning, heart-rending, irresistible. There’s nothing like his voice, nor will there ever be. A cross between I. B. Singer and Woody Allen, Kafka and Leopold Bloom, Nicole Krauss’s gripping new voice doesn’t work its way into the pantheon of American voices: it literally walks straight up to them and asks them to move over―or else it will haunt their living days and nights. And it does just that. You can’t shut it off, can’t put it out of your mind, can’t live without hoping to run into it again and again. Leo Gursky is here to stay. And we are the luckier for it. The History of Love is such a unique and beautiful book, one I read with great pleasure quite literally from the first sentence to the last. It is a mystery, a prose poem, a meditation, a single answer to many questions. It is the kind of book one hopes to find but rarely does: a work that captivates, challenges, and consoles, all at once. Nicole Krauss is proof positive that great literature is being written today. From the twentieth-century Jewish experience of dislocation, Nicole Krauss has constructed―with nods to Bellow and Singer and a kiss blown across the gulf of years to Bruno Schulz―a stirring, soulful novel that speaks to our won losses and loves. This book will break your heart and at once mend it. A beauty of a book, totally alive, make with real energy and nerve and craft. It restores your faith in fiction. It restores all sorts of faith. Leo Gursky is trying to survive a little bit longer, tapping his radiator each evening to let his upstairs neighbor know he’s still alive, drawing attention to himself at the milk counter of Starbucks. But life wasn’t always like this: sixty years ago, in the Polish village where he was born, Leo fell in love and wrote a book. And although he doesn’t know it, that book also survived: it crossed oceans and generations, and changed lives. Fourteen-year-old Alama was named after a character in that book. She has her hands full keeping track of her little brother Bird (who thinks he might be the Messiah) and taking copious notes in her book, How to Survive in the Wild Volume Three. But when a mysterious letter arrives in the mail she undertakes an adventure to find her namesake and save her family. In her extraordinary new novel Nicole Krauss has created some of the most memorable and moving characters in recent fiction. A tale brimming with laughter, passion, and soaring imaginative power, The History of Love confirms Krauss as one of the most remarkable writers of her generation.